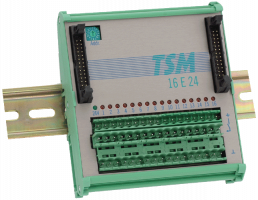 TSM-16E24N is a general purpose digital input module for applications that require many inputs. 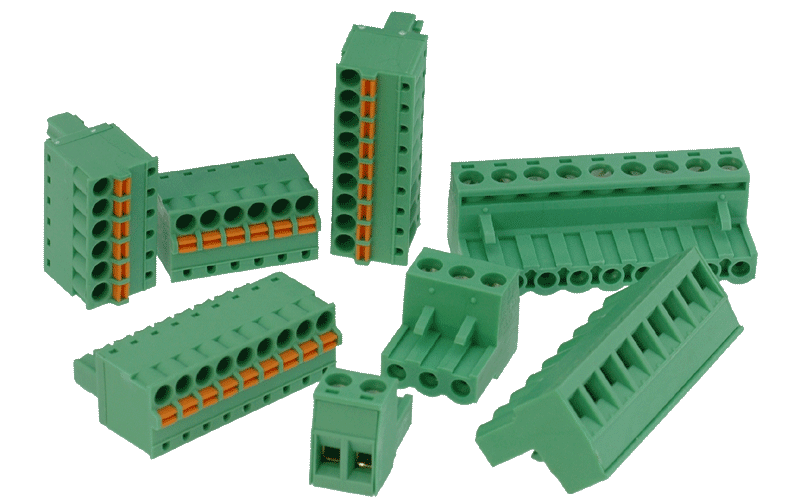 Three terminals are available for each of the 16 inputs to immediately connect electronic initiators (PNP-type), simple switches or active units. Operation of this module is very much like that of two 8E24N modules but in one unit. As with TSM-8E24N, 24V= are applied to the module and then distributed to the 24V-terminals of each input. All inputs are isolated from the TSM-Bus and processor supply, they are not, however, isolated against each other. 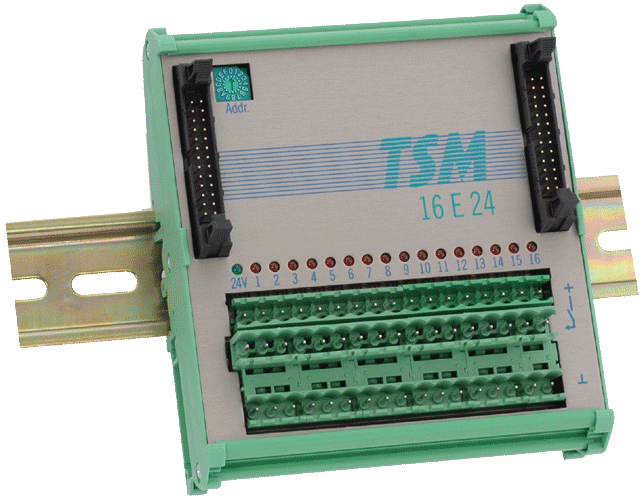 To facilitate software compatibility, the module can mimic the first 16 inputs of a TSM-32E24N for machines where only a part of the inputs is used (jumper option). As the inputs addresses are consecutive, they can be read with a 16-bit instruction.